SAVE MONEY – Only $.20 per card! Compare it to other sets that cost $.50 per card!!! EASY TO WRITE ON – Thick high quality matte cardstock makes them easy to write on. Order now to see the difference thick cardstock can make! Categories: Invitations & Stationery, Wedding Thank You Cards. Why should you order your own thank you postcards? BONUS – The 4 by 6 Thank You Notes provide much more room to write your notes, rather than a 3.5×5 size. PLUS, the back has a matching design to add to the uniqueness of the design! Use them as wedding thank you cards, general artistic thank you notes, small pretty bridal or baby shower thank yous, rustic chalkboard flowers thank yous, personalized christian baptism graduation thank you note postcard, cute mini boho appreciation thank you cards, vintage baby girl or boy thank yous, classic chic bridesmaid engagement thank you cards, unique custom watercolor birthday gift thank yous, and more! Why choose Hadley Design’s Thank Yous? 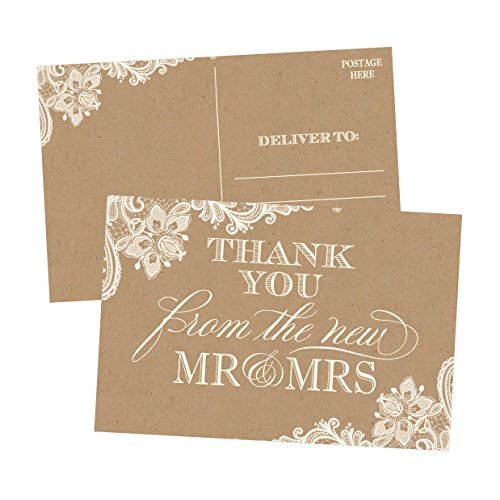 · Hadley Design’s fill in the blank Thank You Notes are a customer favorite! · They are unique and different from the mass produced thank yous. 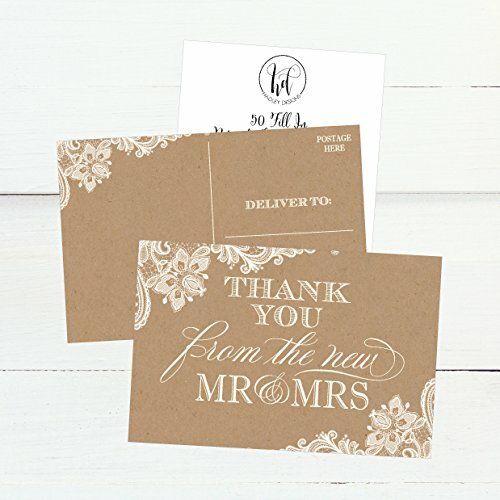 · It’s the personal touch that make Hadley Design’s thank yous special. 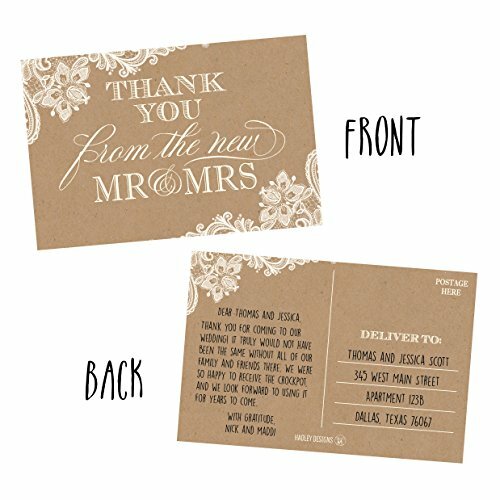 · Each thank you is handcrafted on heavy-weight extra smooth cardstock. 100% MONEY BACK GUARANTEE – 100% MONEY BACK GUARANTEE, so your purchase is TOTALLY RISK FREE!